Damian Santomauro (diagnosed with Asperger Syndrome at the age of 5) and his mother, Josie, share their dual experiences by defining major terms that teenage males encounter during their journey into manhood. Topics from A (abuse, acne, adolescence, arguments,...) to Z (zits) are presented and both Damian & Josie comment on each topic. 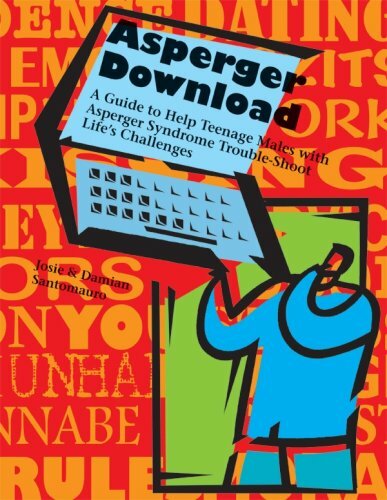 Guide to teenage life on the autism spectrum is appropriate for males ages 11-16.